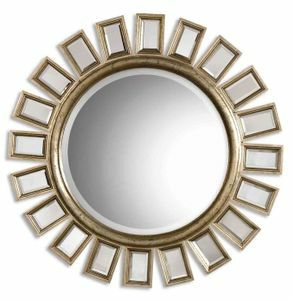 This round, beveled mirror has a wood frame and is accented by several individual beveled mirrors. The frame finish is distressed silver leaf with light antiquing. Dimensions: 34"W X 34"H.